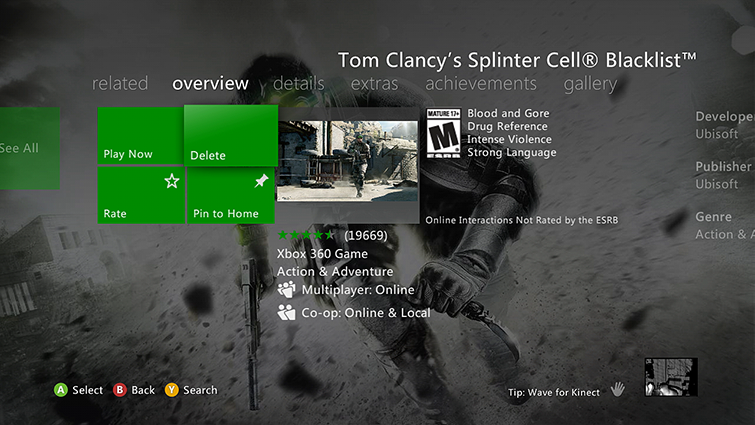 This article describes how to install, play or delete a game on your Xbox 360 Hard Drive. 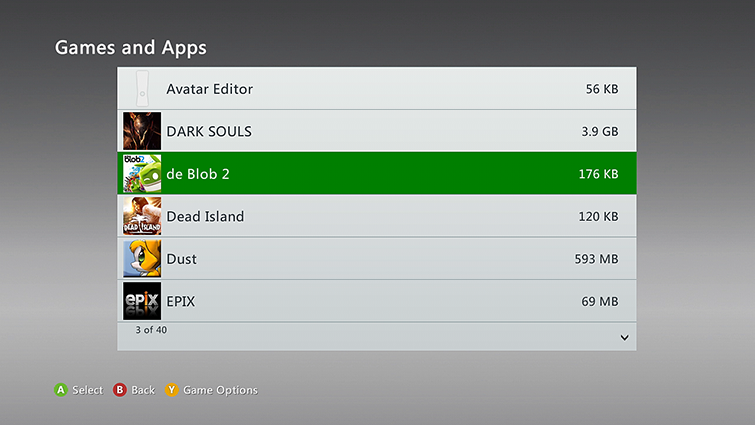 Installing an Xbox 360 game on a hard drive requires between 4 and 8 gigabytes (GB) of free disk space. After installing a game on your hard drive, you still need to have the game disc in the disc drive when you start the game. Installing games on your hard drive improves load times and minimises game disc access. You can install games to a USB flash drive or to an Xbox 360 4 GB console. However, some games will not play correctly. 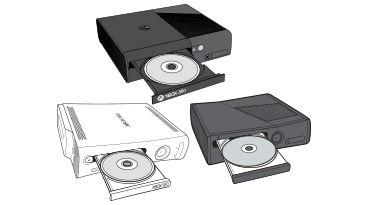 Original Xbox games cannot be installed on an Xbox 360 Hard Drive. Insert the game disc into the disc drive. Note After you insert the disc, the default action is to automatically start the game. If this happens, exit the game and return to the Xbox Dashboard. From the Home hub, select the game in the drive tray and then press X on your controller. A progress indicator appears while your game is being installed on your hard drive. Note Installing an Xbox 360 game might take 12 minutes. From the Home hub, select the game in the drive tray and then press A. Note The game disc must be in the disc drive, even though you have installed the game on your hard drive. The console will automatically play the game from your hard drive, but the disc has to be present. Insert the game disc for the game that you want to delete from your hard drive. From the Home hub, select the game in the drive tray and then press Y. Go to the Settings hub and choose System. Select the game that you want to delete. Click YES to view a list of games that you can delete. After you clear enough space on your hard drive, you can install the new game. Would you like to contact Support regarding the "Install, play or delete a game on your Xbox 360 Hard Drive" issue you were reading about or a different issue?